Here’s another excellent travel memoir from Lorna Whishaw, re-posted from October 2012 specially for my long-distance friend Susan. One to search out once you’ve gone with Lorna to Alaska! Mexico Unknown by Lorna Whishaw ~ 1962. This edition: Hammond and Hammond, 1962. Hardcover. 256 pages. My rating: 9.5/10 for sheer admiration of the cheek of this mid-20th-century intrepid traveller, plus for the extreme readability of her prose. If even half of this is true – and apparently, it all is, with some allowances for dramatic presentation – Lorna Whishaw gets my nod for the “Forge Ahead Regardless and Don’t Make a Fuss” award. Shaking my head and smiling, thinking of her adventures – in this case not an exaggeration of term. She loses .5 for not telling more. Infuriating book, because it’s such a teaser. 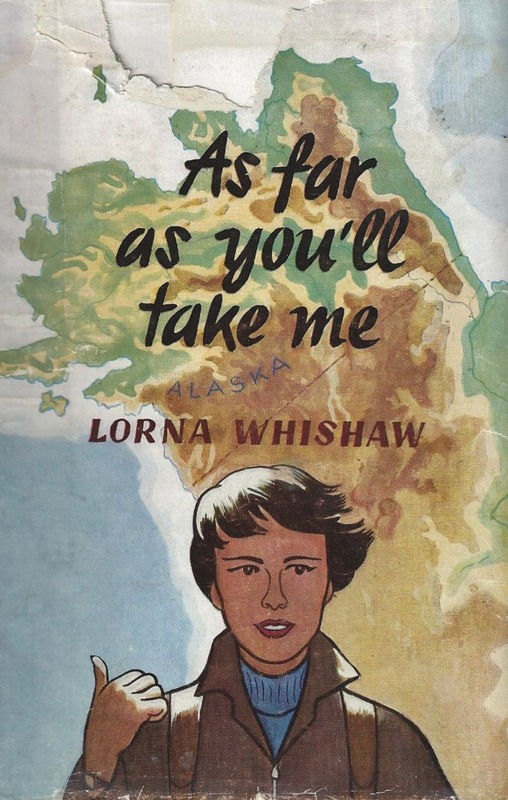 Lorna Whishaw only wrote two books – this one plus the earlier (published in 1958) As Far as You’ll Take Me . She barely lifted the veil on her fascinating life and many travels. Probably too busy living to sit down and write about most of it! I did find record of a third piece of Lorna’s writing, her Master’s Thesis for the University of British Columbia Department of Creative Writing, a 1212 page (really? possibly a pagination misprint) work titled Blue Kootenay, published 1985. Most intriguing. I wonder what the possibilities of somehow accessing that one are? I’m thinking fairly slim. Of my own free will I would not choose to live in Mexico, any more than I would take up residence at the bottom of a tropical sea, because I do not belong there, because I am not wanted there, and because Mexico can get along very well without me. But because through the Will of God I live in Mexico, I shall write of it, of day-by-day living in a land of vast beauty, of violence, and savage extremes, where the struggle of maintaining life is more terrible than death; a land which is trampled by the tourist with sightless eyes. 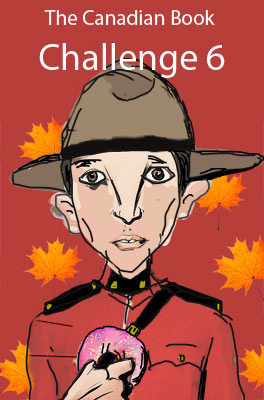 I have heard Lorna Whishaw’s two memoirs referred to, in her B.C. BookWorld biographical entry*, as creative non-fiction, and I suspect that she distanced herself somewhat from her narratives by tweaking names and certain personal details, and in her portrayal of order of events. There is no question that she was a real person, that she did travel widely and adventureously and that she based her books solidly in fact. Lorna Whishaw’s perspective is at once soberly analytical and deeply personal. 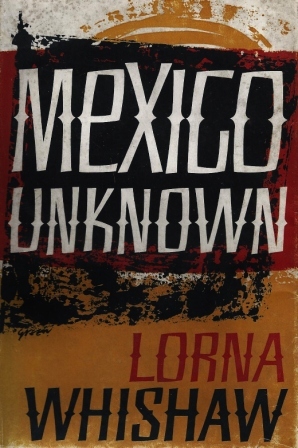 I am finding her writing intelligent and vivid; Mexico Unknown in particular is a unique work which rewards the reader in multiple ways. Sincerely passionate, continually smile-provoking, and unusually thought-provoking. Plus she was just a damned good writer, and not one mite afraid to voice her opinions in print, though it appears she was capable of maintaining a tactful silence when required in her real life. On October 4, the day of the sputnik, we left the sanitary tranquility of the American way of life, and in total ignorance of things Mexican we plunged into the uneasy atmosphere where anything goes, where yes and no are as high as the sky and as deep as hell, and where nothing you can conceive of is impossible. The Mexican experience starts with the culture shock of the border towns, and then the physical shock of the amenity-less workers’ community of a struggling Sierra Madre mine. The first half of the book is a dramatic tale of love and death, corruption and betrayal, nobility of character and inner joy found in the most unlikely people. The portraits of the Mexicans and the American and European mine foremen, technicians and investors are generously but ruthlessly drawn with an artist’s flair for capturing personality and mood in a few well chosen words. The physical descriptions of the land and people are as good as photographs; I find myself perfectly able to picture each face and scene; an unusually difficult authorial feat to pull off as well as Whishaw consistently does. Disaster strikes La Fortuna Mine, and the scene abruptly changes to Mazatlan, where the suddenly unemployed and quite broke family reassess their situation. The geologist husband goes off with the last of the ready money to attend job interviews, while the wife and daughter camp on the deserted beaches, invisible to the lavish tourist enclaves just down the coast. and a life of relative luxury is settled into; school for the daughter, and endless days of lounging by the swimming pool, gossiping with fellow expatriate wives, and riding out in the surrounding countryside. On to Guadalajara and then Mexico City, where the family experiences the major July 28, 1958 earthquake, then the geologist goes on to Nicaragua, while the other two return briefly to Canada, where a new car, a British-built Ford Zephyr convertible, is purchased and driven from British Columbia through the U.S.A., through Mexico and, over a technically “non-existent” road through the jungle, into central America. That trip is a saga all of its own, tacked on to this crowded tale as almost an afterthought. And here I should end this story, but something happened on our drive to the mine on that black and silver night, that should be told. On the trail, lying insolent and beautiful under the headlights we saw two jaguars. Tony stopped the truck a few feet from them, and we watched in ecstasy as they rose and moved slowly away into the bush, throwing flaming glares towards us as they went. Did I saw “highly recommended” yet? I’m sure I did, but I’ll say it again. This is why I love used book stores, and glorious vintage books. 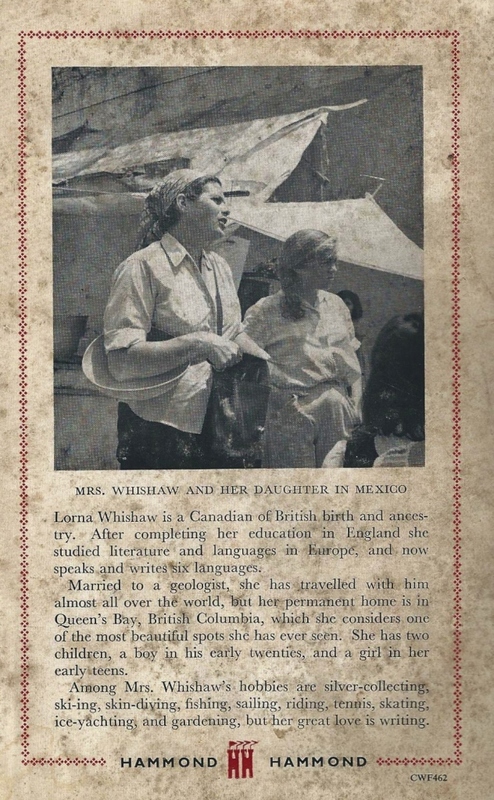 Born in Riga, Latvia to British parents in the diplomatic corps, Lorna Whishaw grew up in England and came to B.C. in 1947. She has lived in many countries, including South Africa where she worked on behalf of the civil rights movement. She speaks six languages and has published two books of creative non-fiction, As Far as You’ll Take Me (New York: Dodd, Mead, 1958) and Mexico Unknown (London, 1962). With degrees in French, English and Philosophy, she has taught for East Kootenay Community College in Golden and Cranbrook. She lives in Windermere. Lorna Whishaw died in 1999. A commentor has just referred to this grand travel memoir which I first read and wrote about in 2012. Re-posting, because it is an enthralling account, as unique as the woman who lived it and wrote about it. As Far As You’ll Take Me by Lorna Whishaw ~ 1958. This edition: Hammond, Hammond & Co., 1959. Hardcover. 222 pages. One summer in the 1950s, while her geologist husband was off an a 3-month, “no wives allowed” prospecting trip, Lorna Whishaw left her Kootenay Lake farm and her 10-year-old daughter and 15-year-old son in the care of a neighbour’s retired ex-nanny mother and hitch-hiked to Alaska and back. This is the account of that journey, and of some of the people Lorna met. One morning, as I lay watching the dawn on the mountains, I knew that the time had come. And that it had to be a hiking trip. Naturally, I was unprepared. I had expected to take weeks making plans and packing, but suddenly it was time to go and I had not even been into town to the bank. I scoured the house for money until I had collected thirty-six dollars, mostly from winter pockets. I filled a packboard and a huge sack with all sorts of unsuitable effects. Anything, in fact, I could lay hands on without waking Mrs. Clements. In the end I had collected: two pairs of jeans, one pair of faded blues and some shorts, two cotton shirts, two short-sleeved sweaters, one fisherman’s sweater, three pairs of woollen socks, some crimson skijamas, three changes of underwear, a short fisherman’s slicker and four coloured kerchiefs to tie around the neck. From the kitchen I stole a small Revere saucepan and frying pan, a silver spoon and fork, an aluminum pie plate, a plastic mug, two pounds of coffee, two pounds of rice, some bacon, salt, pepper and a huge chunk of cheese. After bidding goodbye to Mrs. Clements, and peeking in on her still-sleeping children, Lorna heads down the road, picking up a ride almost immediately with a well-wisher who warns Lorna about the dangers of the road, but ends with a “Wish I was going with you!” good luck parting. Into the line-up for the Kootenay Lake ferry, and Lorna picks up her first real ride, with a trucker headed to Vancouver. He gets her as far as the MacLeod junction, giving her tips on truck driver-passenger etiquette which will stand her in good stead her whole trip. Past the point of no return, Lorna mulls over her next move. I turned northward, up the long straight road which seemed to touch the horizon and climb into the pink evening sky. Till that moment I had not really given much thought to the direction I would take. 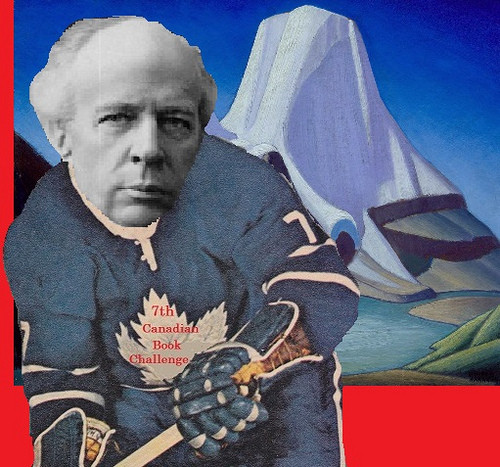 For many years I had dreamed of the far north. It was a dream which I had never allowed to take hold, but it was always with me. Standing in the golden sunset at the start of the flat grey road, I felt an overwhelming desire to go north. I had the time and I had thirty-six dollars. 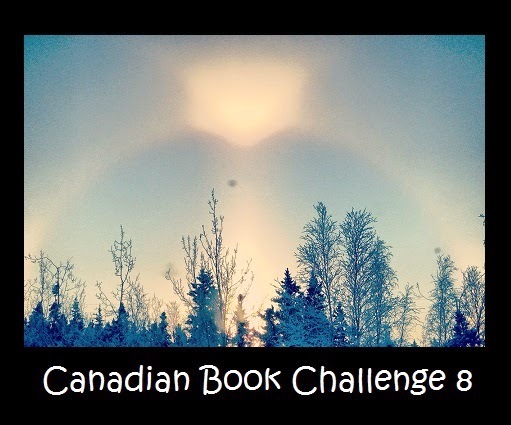 With luck I might actually realize my dream – Alaska and the Yukon! And, by golly, she does indeed realize her dream. Cadging a series of rides with truckers and tourists and farmers and other good-hearted souls, she makes it all the way to Alaska, where she finds further adventure in trips into the wilderness through the kindness of strangers who quickly become friends. It is not all fun and laughter; many of her drivers and hosts have tragic pasts and difficult presents; Lorna herself has several brushes with disaster and makes some very poor decisions, which she pays for in real danger and frequent discomfort. She always pushes through, though, with a combination of luck and bull-headed resolve. This was an understated but nicely written road trip saga. 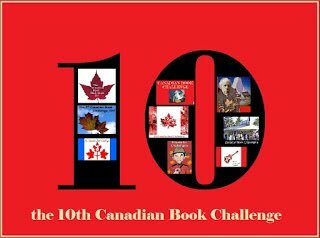 I found myself fully engaged and reluctant to put the book down, reading far into the night until my eyes closed on their own. Lorna’s voice is cool, calm and collected, and her dry sense of humour is apparent throughout. I am so glad I stumbled upon this memoir; this is my second reading of it and it is even better the second time around, as I found I slowed down in my reading and really savoured her descriptions and impressions of the country she was travelling through. 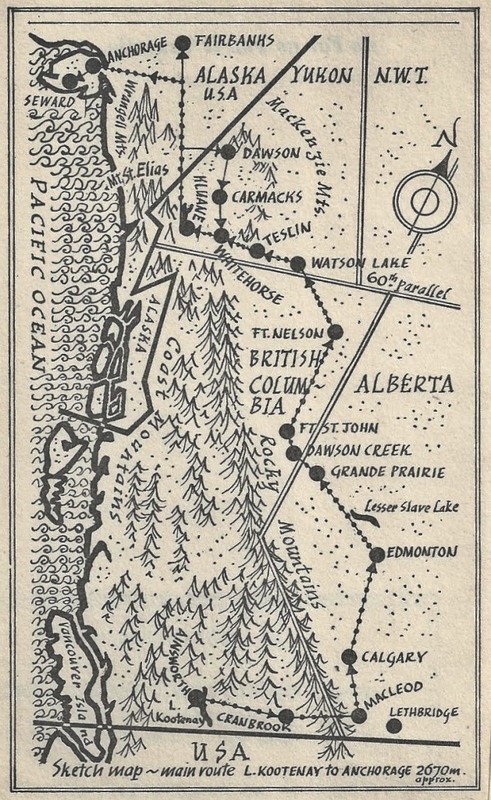 Lorna herself must have been as much of a unique character as any of the long-distance truck drivers, game wardens, and Yukon and Alaskan prospectors, lodge owners and fellow adventurers she met. According to scant but intriguing biographical information I tracked down, Lorna Hall was born in 1912 in Riga, Latvia, to British diplomatic corps parents. She grew up in England, but travelled widely, marrying pilot and mining engineer Quentin Whishaw and living in many countries, including South Africa, where she apparently worked on behalf of the civil rights movement, and also as a linguist for the “secret service”, according to her son Ian’s biographical notes. Lorna spoke six languages, and had degrees in French, English and Philosophy. She moved to the Kootenay Lake region of British Columbia with her family in 1947, and lived in Windermere until her death in 1999. 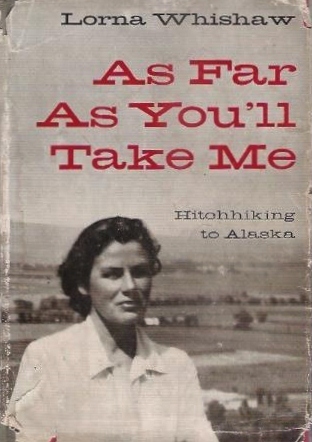 Apparently she only wrote two books, both travel memoirs: As Far As You’ll Take Me in 1958, and Mexico Unknown, in 1962. A real shame; I wish she had published more of her memoirs; from the glimpses of her life she shares in As Far As You’ll Take Me she is definitely a person whom I’d like to hear more from. There were a few copies of both books on ABE, most quite reasonably priced the last time I checked. If you see a copy of either travel memoir in a second-hand bookshop, I would recommend you grab it, if you think you might enjoy reading of the solo travels of a strong, independent woman with a deep appreciation of other people and the natural world.